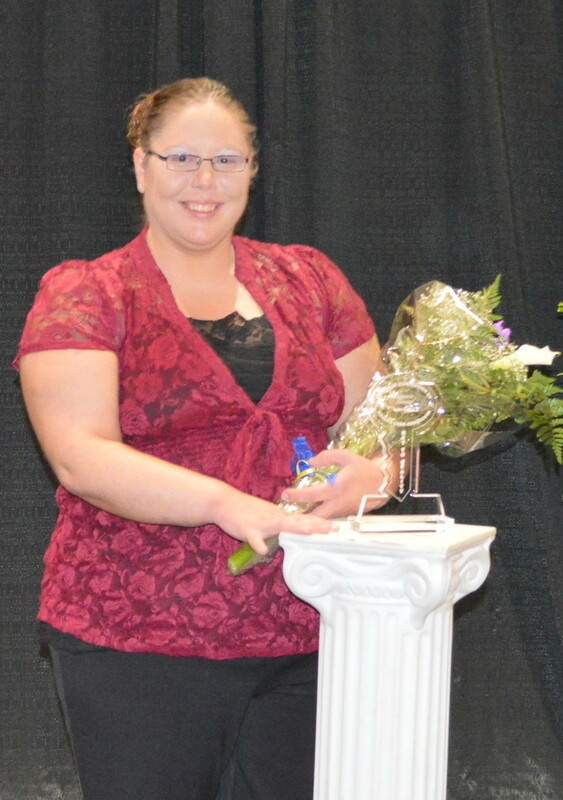 Jackie Hudnut, Certified Nursing Assistant (CNA) at Montezuma Specialty Care received the National Association of Health Care Assistants’ (NAHCA) Excellence in Leadership Award on June 2 at NAHCA’s national annual conference held in Des Moines. The Excellence in Leadership Award is given to a CNA who show outstanding support of the “team approach” and provides quality resident care, and one who also stands out as a leader. Care Initiatives joined NAHCA in 2009. Since then, our care facilities have increased employee retention, improved client/resident satisfaction and increase activity within their individual communities. Sending a select group to participate in the annual NAHCA conference not only provides a chance to learn from industry leaders and each other, but empowers and encourages aides and assistants to make a difference among their peers back home. Montezuma Specialty Care is an 49-bed skilled nursing facility in Marshalltown offering rehabilitation services, skilled nursing care, long term care and hospice care. It is owned and operated by Care Initiatives, Iowa’s largest not-for-profit senior care provider. With headquarters in West Des Moines, Care Initiatives and Care Initiatives Hospice operate 55 skilled nursing, rehabilitation, Alzheimer’s/dementia, assisted living and hospice locations throughout Iowa. We are committed to providing compassionate care for Iowans through all of life’s health transitions. For more information about Care Initiatives, visit careinitiatives.org or call 641.623.5497.